We removed the homeowner existing (damaged) roof and installed a new CertainTeed Landmark Roof along with new Ridge venting, lead flashings for the plumbing stacks and a new chimney housing. We take care to provide attention to detail on every project! Great project we completed in Hometown IL, where we replaced the existing roof with a new CertainTeed Landmark Shingle roof. We installed a new ridge vent system on the house to give them the best possible venting for their attic. We also installed a new chimney housing! This roof repair in Hometown was due to some high winds that we had in a February wind storm. Our storm damage experts inspected the roof, pinpointing the weaknesses and allowing us to craft a custom plan for repair. The roof is good as new! I am a real estate investor and I am looking at a house in Hometown that needs a new roof. It is a basic Hometown house, 744 sq ft, and I see that you have done other houses in Hometown. I am looking for a cost basis on this house type for a tear off and installation of a new Certainteed Landmark Roofing Shingle. Thank you, Darren B. The back half of my roof is in need of complete tear off. Need to get the work done by next weekend in order to have the home refinanced. Can you help out? The home is 1100 square feet townhome in hometown. Missing a shingle or two on the roof of the main section of the house. Need to check if chimney on roof has a cover, thought I heard a bird in it this morning. In the front where the houses are connected, a few shingles blew off in the last wind storm. I noticed them when I was cutting grass. Also in the back, where the buildings are joined, I think whatever adhesive was used needs to be redone. Stan's has roofed our house three different times over fifty years. My Father used Stan's for years. Now I own the house and I too use Stan's. I'd like to think of it as a "tradition of quality home improvement". Mike K. S. Kildare Ave.
Yvonne C. S. Beck Pl. I would like to re-side my home in the next few years. I will most definitely use Stans Roofing for the job! Everything was great. Wonderful service. New Homeowners....and never dealt with prior issues. Dan was very patient and informative, explaining the answers to our questions, It was great working with him. Could not be happier! The house looks like it is smiling everytime I pull away....maybe we are both smiling! "My Father used Stan's for years. Now I own the house and I..."
"I would like to re-side my home in the next few years. 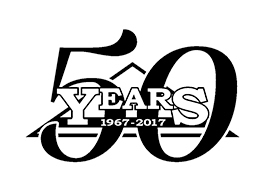 I..."
Stan's Roofing & Siding has served the residents of Hometown since 1967 with a wide range of roofing and siding services. Our employees are professionally trained and capable of installing or repairing your roof or siding quickly and efficiently. The division of the homes is visible here with the edging shingles we laid between the properties. I need to redo the roof on the garage as it is leaking badly in a few places. I would like an estimate for a range of exterior improvements: front and back entry doors, roof/gutter/soffit repair or replacement, balcony and balcony door removal, deck repair, new siding installation and garage remodeling. My neighbor is also interested in a roofing evaluation/estimate. Missing shingles from wind storm on 2/19. Roof needs to be tarped asap.